Recognised as one of the main techno pioneers and influential artists of recent times, Shlomi Aber has the kind of impact usually reserved for inbound meteors, the reason for which is buried in a ground swell of genre-defying appreciation and support. Born and raised in Israel, Shlomi’s personal approach, married with 15 years of production experience and over 20 years of DJing, takes influence from Jazz, Funk, Minimal, Acid, and in particular the old school Detroit Techno movement. 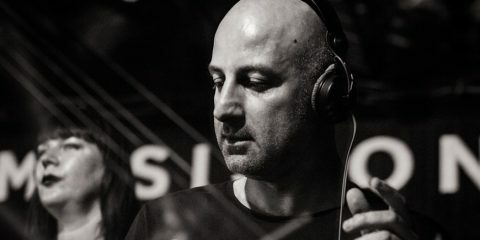 Shlomi‘s worldwide success granted some prestigious rewards and Nominations as “best newcomer” in 2005, “producer and track of the year” in 2007, “Beatport’s artists of the year” in 2008, Worldwide ” DJ Awards nomination” and a well-respected recent “Best Techno Dj 2014” award winning at the “ Sankeys Ibiza “ Dj Awards. These and more placed Shlomi in the first tier of electronic music artists, headlining every prestigious club, festival or venue worldwide. On 17 July, Shlomi Aber will release his latest mix CD entitled, “15 Years of Nordstern – Mixed by Shlomi Aber”. Nordstern is Switzerland’s most prestigious underground club and a 3 times winner for Switzerland’s best club at the Swiss nightlife awards. 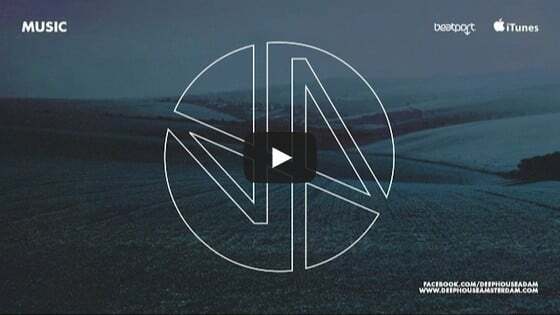 This year Nordstern celebrates its 15th anniversary, with a rough techno mix cd by long time friend Shlomi Aber. “I salute Sankeys and dc10 where it’s still about the dance floor”. You’re producing music for more than 20 years now. How did your music evolve over time? How would you describe the core concept of your sound? Hi guys, thanks for having me on! Actually, I have been asked the same question by a friend just few days ago, and I wasn’t really able to answer. It’s hard to follow your own development, I guess, especially as I always liked music in general. Any kind and not just a specific sound or genre. I think now, I may know myself better than before in a way; more matured with what I like and how I like it. I’m very much techno oriented as a DJ, which is not always coming back on the table in my productions, especially as I’m always producing for myself and not having other people feedback on it. How is the season at Ibiza going so far? Have you experienced any changes this year? We just starting the season and I’m looking forward to have another exciting summer with 12 shows on the island. In general it is too early to say how this season will be for the island and scene, but I guess it will not be an easy season for many of the parties like 2-3 years ago. The island is over saturated with parties. Ibiza its the place of freedom and peace, at least supposed to be, but somehow the competition and the forced presence of many artists and parties is killing the real essence of the island, especially as it becomes very expensive to the common clubbers, and the VIP tables starting to take more importance then other things. There I salute to Sankeys and dc10 where it’s still about the dance floor. How do you spend your time off on the island? How do you treat yourself? I like to go outside of the town, to the end of the island and discover small restaurants and private beaches. It’s such a magical island. You get to know it only when you live on it and you have the time to go around it. The compilation for the 15 year anniversary of Basel club Nordstern will be released soon and you’ve mixed and collected the tracks. What is your connection to the club and what makes it special? While most of my DJ friends are looking forward to Time Warp or Awakenings, Nordstern is one of my most anticipated shows of the year. I will prefer it over big festivals any day. 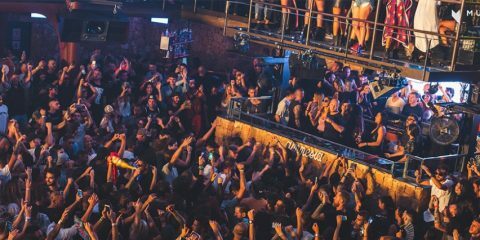 It has grown up to be one of my favourite clubs, especially as I was there since the very beginning, while now its one of the only clubs in the world in that capacity who regularly have DJs as Carl Cox, Ben Klock, Richie Hawtin, Loco Dice, Sven Väth and more. It turned to be the hottest spot in GAS for a proper party treatment. My relationship goes further with the club crew, owners and crowd. After playing there twice a year for 10 years, it now feels like home. I couldn’t be more excited to have mixed this CD as I always considered this club to be one of the most open minded (musically speaking) on the planet. What are some aspects of a club that are important for you as a DJ? Except the usual sound system bla bla…which is important, at the end of the day it’s the relationship with the crowd. Nordstern is one of the places that I get hit with 70 Facebook messages 2 weeks before the show for guest list, mostly from random people asking just to be on the list, not for a free entrance. Everyone is excited and nobody wants to miss out of course. That’s the most special feeling you can have as an artist.